Gaining muscle takes dedication, science, and time. The best supplements for muscle growth give you an edge in all of those areas. There are plenty of supplements available that can help you to increase your muscle growth. The simple fact is that supplements are sometimes necessary in order to get the nutrition you need, not just to function normally but in order to achieve your goals. Of course, building muscle cannot be achieved by supplements alone. You need to use them alongside a healthy diet and a good muscle building exercise plan. 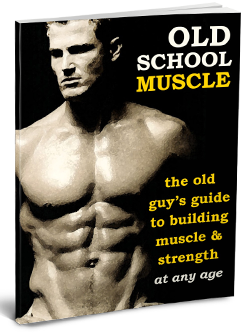 If you’re not already doing a plan, or want to try something a little different then this old school muscle plan is well worth a try. Providing you purchase supplements in a health store or similar reputable establishment then you’re not going to be purchasing anything illegal. The real issue with supplements for muscle growth is understanding which options are available and viable. There are hundreds of products on the market, but you need to understand which supplements will help your muscles grow that extra bit. Fortunately, we’re here to help you separate the whey from the chaff! Let’s take a look at what’s available, whether it really works and whether there is anything you should know about it. This is probably the most popular and well-known of all the supplements. You’ll see people chugging this down at the gym after a workout; and with good reason. Whey protein is, unsurprisingly, packed full of protein. The average man needs 0.8g of protein per kilogram of body weight. That means if you weight 80kgs (approximately 175 pounds) you’ll need 64g of protein a day. However, if you’re exercising and working out, such as if you’re doing the old school muscle plan several times a week; you’ll need between 1.2g and 1.5g of protein per kg. That’s between 96g and 120g of protein for a 175-pound man. In theory, you can get the protein you need from the food you eat this may work if you’re not exercising. But, it’s unlikely you’ll hit 100g jut from the food you eat; that’s where whey protein comes in. Protein is essential for the process of protein synthesis; this is how your body repairs tears in your muscles. These tears are caused when you’re lifting and pushing your limits. As the tears are repaired your muscles grow bigger and stronger. Whey protein is broken down and absorbed very quickly by your body, making it the perfect choice post-workout. It will help your body recover and boost muscle growth. It should be noted that whey protein is not the only protein supplement. You can also get casein protein which is absorbed much slower into your body. This is a good choice to keep your protein levels high while you sleep. Other alternatives include egg protein, pea, brown rice, or hemp; these are generally very good if you’re vegetarian or just want something more organic. Creatine is often considered one of the best supplements for muscle growth pre-workout. It is actually one of the most researched supplements; making it much easier to give credit to its claims as one of the best supplements for muscle growth. Creatine actually occurs naturally in your body, 95% of what is in your body is in your muscle cells. Your muscles use it as an energy source. By adding creatine into your diet, just before a workout, you should have more energy available during the workout. Creatine will allow you to push yourself harder, encouraging the small muscle tears that heal and grow your muscles. The average person should get between 1-3 grams of creatine per day, just to maintain normal muscle creatine levels. If you’re looking to boost your power when working out you’ll need to boost this amount slightly. In fact, this study shows that 5g of creatine per day significantly increased muscle mass and arm flexor strength. It is also useful to know that creatine can actually help to stimulate protein synthesis, the chemical reaction that needs protein to repair and increase your muscle size. You’ll also find that a creatine supplement can help your muscles to recover faster and reduce soreness after exercise; simply because it is replenishing your creatine stores faster than your body can by itself. Branch Chain Amino Acids (BCAA) is simply the name for 3 of the 9 essential amino acids that your body cannot produce by itself. Their individual names are leucine, isoleucine, and valine. They are all an essential part of the protein synthesis process, and, as mentioned, your body cannot make them itself. Supplementing with these is the easiest way to ensure your body is getting the nutrients it needs. Studies show that BCAA can help to reduce muscle fatigue during exercise, effectively allowing you to exercise for longer and harder. This is critical to pushing your muscles just past their limit and encouraging the muscle growth you’re desperately after. It has also been shown to improve the conversion of compounds into energy within your body, and can even lower the levels of creatine kinase and lactate dehydrogenase, which are both compounds that indicate muscle damage. By lowering their levels slightly you can work out harder and for longer periods of time. You should also see a drop in your body fat, as your lean muscle increases. You may not have heard of beta-alanine it is a great supplement for muscle growth. It is recommended that you consume between 4.5 and 5g of this compound on a daily basis. Beta-alanine is actually another amino acid. Its role is to increase your stores of carnosine. The higher the amount of carnosine in your body the quicker you’ll feel exhausted when exercising; that’s why beta alanine is so important. It reduces levels of carnosine, allowing you to work out much harder than usual. A supplement taken before you exercise will help to boost your endurance, as well as your muscle strength. However, because it is quickly used up, it is generally best on short bursts of exercise, approximately 4 minutes in length. Sipping it between HIIT exercises can be a great way to boost your endurance and lean muscle building. It should be noted that this supplement will provide you with the extra power to squeeze out a few extra reps or sets; which will help you to maximize your strength gains. There is limited research backing these claims and claims of other potential benefits. You won’t be surprised to learn that this is another amino acid. In fact, Glutamine plays an important role in several of the body’s functions. These include the immune system, intestinal health, and muscle usage/gain. In fact, the latest research shows this supplement can help with leaky guts and your metabolism. It works and is so important because this amino acid is a building block of protein. Without it your body cannot create the protein that is so essential for muscle growth, burning fat and losing weight. It should be noted that this amino acid does naturally occur in food, but if you’re not getting enough in what you eat taking a supplement is the perfect response. You’ll be surprised to know that this compound is approximately 35% of the amino acids in your bloodstream! There are two types of L-glutamine, the first is known as free form. This is difficult for your body to absorb by itself. You should take this supplement with food. The second option is an L-glutamine but often referred to as Trans-Alanyl-Glutamine (TAG). The name refers to the fact it is attached to another amino acid. This one is easy for your body to absorb and can be taken without food, it can even be taken on an empty stomach. The usual amount of this supplement is between 2-5g a day. But, if you’re a really serious athlete you may want to go as high as 10g. As it is part of the foundation of protein it is best to take this straight after working out, it will help your body to recover and ensure you have enough energy to prevent your body from eating its own muscles! HMB, or to use its long name, Hydrixymethylbutyrate, has been linked to a variety of health benefits. These include treating heart disease, reducing high cholesterol, lowering high blood pressure, and, of course, for muscle growth. It is actually classed as an active metabolite of leucine which dramatically reduces your body’s ability to breakdown protein in your muscles. This will help to ensure your existing muscles are not reduced as you build bigger muscles. By preventing protein breakdown your body s forced to look for energy elsewhere; hence it will turn to the energy contained in fat cells and release HMB, effectively helping you to burn fat while boosting muscle growth. It should be noted that HMB is very effective at preventing muscle breakdown but not as effective as the BAA leucine at starting protein synthesis; which repairs and builds muscles. It’s a good example of why you need to know your supplements for muscle growth. You can, of course, take more than one, or you can choose to focus on the one that appears to offer the most benefits for your individual needs. This is yet another amino acid, also known as L-citrulline. It also acts on your body to reduce fatigue, allowing you to exercise harder and for longer. This is another of the supplements for muscle growth that should be taken before you exercise. Ideally, it should be taken within 30 minutes of your exercise starting, and it doesn't need to be taken with food. It actually heads to your kidneys, where it is converted to L-arginine. This compound helps your body to recycle ammonia and nitric oxide, improving the flow of oxygen and nutrients around your body. This will have a secondary, indirect effect, on your ability to work out. Having the necessary oxygen and nutrients will help you to keep going, boosting your endurance as well as your muscle growth. It is worth noting that supplements of L-citrulline malate in excess of 10g per day are likely to induce diarrhea. That’s not a side effect you need or want. You may have had concerns regarding taking supplements for muscle growth. But the truth is that you’re not alone, many men want the results but are unsure about the effects of supplements and whether they constitute cheating. After all, there is something deeply satisfying about building your muscles gradually by yourself. But, these supplements for muscle growth aren’t cheating; they are simply helping you to do your best every time you work out; whether you’re doing the old school muscle plan or running around the block. The supplements will ensure you push your body harder, encouraging muscle fatigue and muscle repair; a natural way of boosting your muscle size. But, don’t forget you’re not alone, there are thousands of men who have joined the Fit Father Project; they can all help you to achieve your dream, whatever it is; because they have, or are on their way, to becoming the best man that they can be! *Please know that weight loss results & health changes/improvements vary from individual to individual; you may not achieve similar results. Always consult with your doctor before making health decisions. This is not medical advice – simply very well-researched info on choosing the best supplements for muscle growth. BUILD LEAN MUSCLE. GET STRONG & FIT AT ANY AGE. Learn more Old School Training + New School Science.